Quick Review: Caleb Reed is losing his mind, at least that’s what his father thinks. If it were only the show - America's Funniest Home Videos - the same taped episode he's watched every night for the last six years - then perhaps his parental unit wouldn’t worry so much. But there’s far more to the thirteen year-old’s manic daily regimen that makes even Caleb himself question his mental health. For starters, there's his obsessive worry about the abandoned mansion across the street, and then there's that curious note someone left on his doorstep. It's neatly folded, black ribbon wrapped, and signed by a stranger named Emily Dickinson. 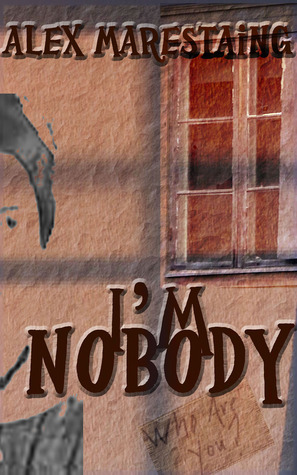 "I'm nobody. Who are you?" it reads. "Are you nobody too?" In time, more of these strange, poetic messages arrive, silently beckoning the agoraphobic seventh grader to venture further and further from the safety of his home in order to retrieve them. Are the notes from Iris, the YouTube obsessed eighth grader who has begun filming an indie film on his street? Has his deceased older sister returned from the grave to deliver some sort of message? Or are the pages actually from the pen of Emily Dickinson, the reclusive and long dead 19th century poet? With his sanity in question, Caleb Reed's entire existence depends on finding an answer. Detailed Review: ARE YOU INSANE?!? I was asking Caleb Reed this same question the whole time I was reading this book. And to those of you who want to know, he's not insane. He's just unique. This book has a plot that's so intriguing that it would certainly leave your mind spinning because you have to find the balance between insane and sane, as Caleb does. MAGIC is the answer. It does question your sanity but in this book it exists. It all started with the abandoned mansion from across the street. It's a monster, at least to Caleb and when he notices that one of the windows- which was supposed to be boarded up- is not boarded up, he starts freaking out. And then Iris starts visiting him. She wants to film him for a documentary competition. And she's determined to get what she wants. And then comes the note. From an anonymous person. Is it from Iris? Or is it from the mansion from across the street. It questions his identity and who he truly is. And Emily Dickinson, who is she? Is she his long-dead sister, who he misses and loves so much- the reason to the non-ending routines of watching American's Funniest Home Videos? What if someone tells you that everything you think is real is not? What if they tell you that everything was just your own doing? Would you believe them? Caleb almost did at first, but then comes an event which changes everything and answers that very first question I asked: is he really insane? *WARNING: Be prepared to cry, or to get angry or to just sit down on a chair with your mouth opened after reading the book. And be prepared for some poetry too.